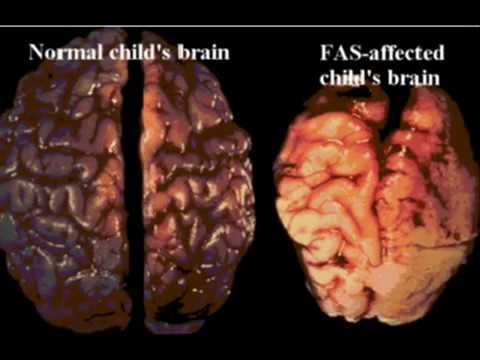 Fetal Alcohol Syndrome (FAS) is a pattern of mental and physical defects that can develop in a foetus when the mother drinks alcohol during pregnancy. The timing and frequency of the alcohol consumption during pregnancy are major factors in the risk of a child developing FAS. The ingestion of alcohol does not always result in FAS. The effects of FAS are irreversible. Educational Implications for teaching pupils with FAS. A 7 minute film summarising the effects of FAS. Key facts & photographic images in a short information video. Student and School package free to download. Photo image of a young child with Fetal Alcohol Syndrome. What is the rate of occurance of Fetal Alcohol Syndrome? It is estimated that between 0.2/1.5 in every 1000 live births. What are the educational implications for students who have Fetal Alcohol Syndrome? supporting fine motor needs with increased access to ICT- contact SERC for support. What effect can the alcohol have? How can I help a pupil who has Fetal Alcohol Syndrome? This is primarily a USA based weblink, but it has really good links and summaries that are worth looking at to save searching the web. DVD's, books, leaflets to provide specific information relating to FAS. This specialist outreach support and consultancy service provides support for individual pupils in mainstream primary schools. The outreach service works with pupils who have a range of significant language, social and learning needs. Some pupils may have a statement of special educational needs, while others will have significant needs and working at school action plus.